A unique exhibition of carefully selected documents relating to Shakespeare’s life, By me William Shakespeare was a once-in-a-generation opportunity to see the playwright’s last will and testament. Academics from the London Shakespeare Centre at King’s – the world’s foremost centre for the study of Shakespeare – and record specialists at The National Archives carefully selected the nine most nationally important documents held by The National Archives relating to Shakespeare’s life. Presented together for the first time, they represented some of the most significant documents in the world that track Shakespeare’s life as a citizen of London, a businessman, a family man and servant to the King and even possibly a thief and a subversive. Through these documents the exhibition explored both his domestic and professional lives, what it meant to live in the Elizabethan and Jacobean eras and the social impact of his plays. 59 Productions was commissioned to create an original artwork for this exhibition. 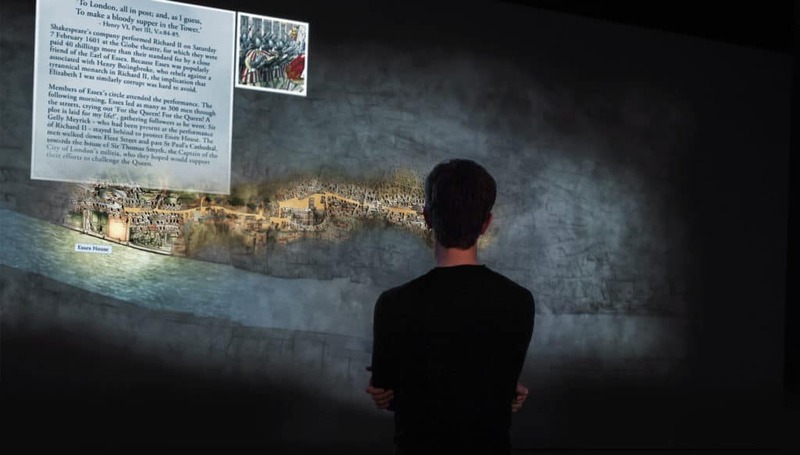 The piece, a unique map of London that rewinds in time from 2016 to 1616, bridges present and past, illustrating both the modern city we see today and the one that Shakespeare lived and worked in. The piece combined printed illustration, projection and sound design to create a visually dynamic and engaging visitor experience. 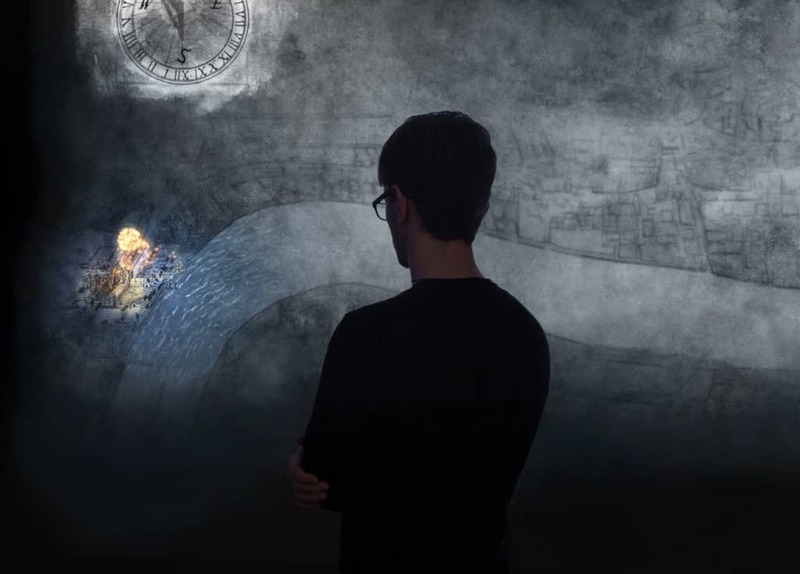 The map traced the stories of the various documents on display in the exhibition, bringing them to life using animation and sound design. In some cases, the map followed the physical journeys that the documents made, tracing their paths as they move in and out of London. The installation also drew its inspiration from various archival sources, including the Civitas Londinum – a copy of which is held by The National Archives at Kew. The result was a multifaceted exploration of how place and status affected the life of the world’s most famous playwright.